Werner Voigt, Curator of the Karoo Desert National Botanical Garden, which cultivates and displays a wide variety of arid and semi-arid plants within 154 hectares at the foot of the Hex River Mountain range, 120 km north of Cape Town, will talk on Mountain Deserts. The most well known mountain desert in South Africa is found in the Richtersveld National Park. Despite being a desert, the Richtersveld has the most extraordinary biodiversity. Around 2700 species exist in this area alone with almost 600 existing nowhere else. 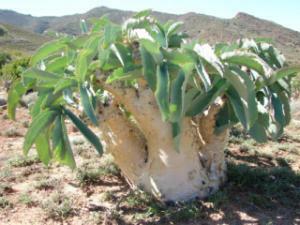 The Richtersveld is home to the giant Baster Quiver Tree (Aloe pilansii), of which only a few hundred remain on the remote Richtersveld mountaintops. The “Halfmens” (Pachypodium namaquanum), a bizarre plant which from a distance resemble faraway people, is found here. It is also home to numerous species of lithops, which are tiny succulent plants which resemble small stones. An extraordinary site is the mat of lichen that stands out starkly in the desert environment. The Lichen Hill is covered in moss-like lichen in bright orange, greens and browns. Sustained by the mist that creeps in from the Atlantic over the semi semi-desert coastal plains, this hill has developed the highest biomass and diversity of all known lichen fields and is of huge interest to ecologists. It hosts at least 30 known species of lichen, as well as species of bold higher plants taking advantage of the shelter provided by this mat of lichen. Chris Whitehouse has been enthusiastic about plants ever since a family holiday on a small Scottish island at a young age. He quickly became fascinated in growing the plants that he saw and read about, in particular South African bulbs. He has worked at the Royal Botanic Gardens, Kew, participating in expeditions to Kenya, Tanzania and Zimbabwe. 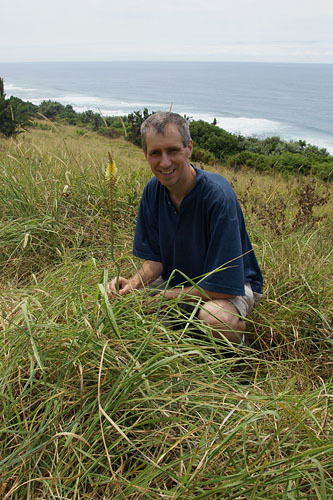 For his doctorate, Chris moved to Cape Town, where he spent over four years hiking the mountains of South Africa in search of Cape Roses (Cliffortia) and is now considered the world authority on the genus. Returning to the UK, he spent 10 years as the Keeper of the Herbarium for the Royal Horticultural Society. During this time, he continued his focus on South African plants, and has just completed writing a book on red-hot pokers (Kniphofia). While plants are clearly his main passion, he has an extensive knowledge of all natural history including birds, butterflies and geology. He particularly enjoys getting off the beaten track to areas that tourists (and South Africans) often miss. Dr Kerry Sink of SANBI will give a presentation she calls Old Four Legs which is about marine reserves around South Africa. 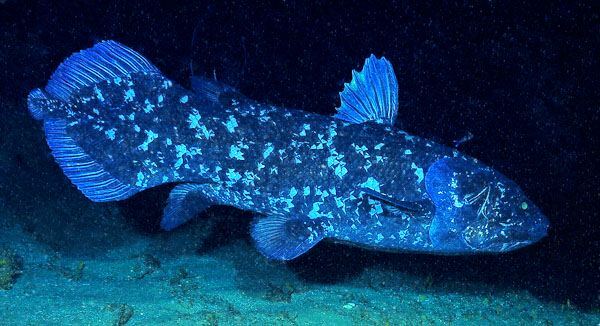 Old Four Legs is a common term given to the coelacanth. The blue-grey coelacanth adults are about two metres long, weigh about 80 kilograms, and have strange tails, limb-like fins, thick scales and prodigious teeth. The fins contain bones that resemble toes on a reptile. Coelacanths could well be an example of the original tetrapods, four-legged amphibious creatures that made the first move from ocean to land, and which were the ancestors of many land animals, including us humans. It is also one of the rarest animals, with no more than an estimated few hundred in the oceans. The waters of Sodwana are home to at least 32 individuals, identified through research led by Dr Kerry Sink of the South African National Biodiversity Institute. The ocean here forms part of iSimangaliso Wetland Park, the country’s first world heritage site, so this important population is protected. 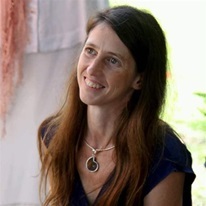 Kerry Sink’s work focuses on expanding marine protected areas (MPAs). MPAs cover less than half of 1% of South Africa’s waters, and more than 98% of its waters are under petroleum and mining leases. Still, there is support to create new offshore protected areas. A 2014 presidential initiative, Operation Phakisa, commits South Africa to safeguarding 5% of its marine waters by 2017. Twenty-one potential MPAs have been proposed, and the government has committed to identify an additional 5% of South Africa’s waters for protection by 2019. Sink, Ph.D., is using her Pew marine fellowship to ensure that the proposed MPAs are designed to promote biological diversity and is working with key industry sectors to reach the goal of protecting 10% of South Africa’s waters. She is also conducting independent research to define, map, and make others aware of critical areas where MPAs would help conserve the nation’s ocean biodiversity. From the moment she painted her first flower in watercolour in 1980, Vicki Thomas knew this would be a lifelong passion. 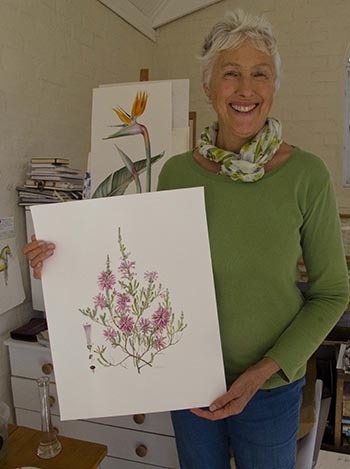 Unusually, Vicki immediately started working with botanists, teaching herself botanical illustration along the way, and having works published in many scientific journals, including Curtis’s Botanical Magazine and Flowering Plants of South Africa. 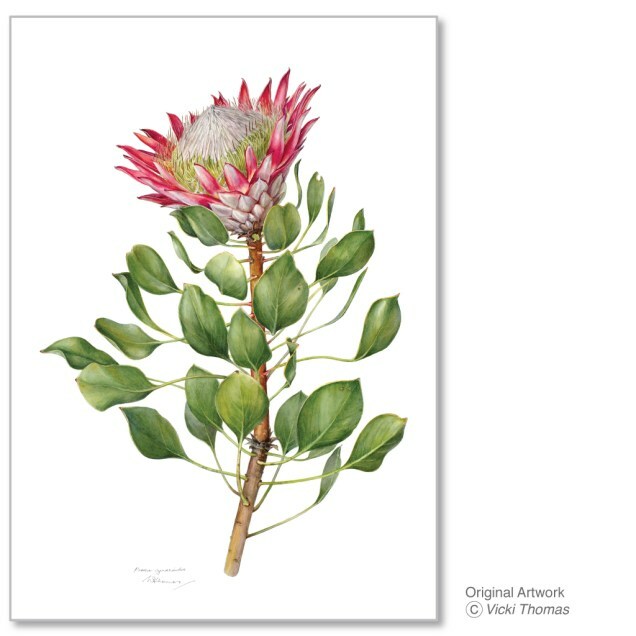 Along with three other artists, Vicki Thomas started the Botanical Society of South Africa, to share information, and was the Western Cape Chairperson for many years. The move to painting larger artworks for exhibitions came with the inspiration of Dr. Shirley Sherwood, who has now bought many of her works and shown them in her gallery at Kew. Vicki Thomas has had works shown around the world, including the Hunt Institute in the USA, and has achieved gold medal status at the Kirstenbosch Biennale. Having works in the Highgrove Florilegium followed by the Transylvanian Florilegium had a huge impact on her career. Teaching has taken her far too, having taught botanical art at the Universities of Cape Town (Summer school) and Stellenbosch (Hons. Illustration), in South Africa and in the United Kingdom at Hampton Court. 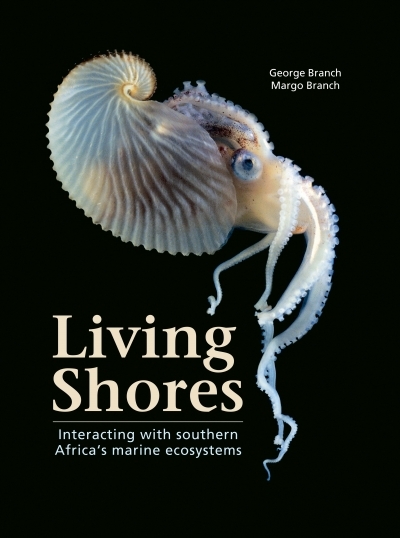 George and Margot Branch will present a talk on their new edition of the celebrated book, Living Shores. George and Margo Branch describe themselves as a “beach bums par excellence”. In actual fact they are prolific writers and teachers in the marine community of South Africa. To their scientific skills they each bring an illustrative component. George brings photography and Margot brings art, and together they produce beautiful books to educate and enrich our lives. Originally published in 1981, Living Shores was for many years the standard reference for marine science students but was also embraced by a popular market for its fascinating insights into marine and coastal habitats and the life they support. After a long absence, this classic has been revived and thoroughly reworked to incorporate the many dramatic changes that our oceans and coasts have undergone over the past few decades. This book is the first of a two volume set, and examines the different marine ecosystems and how humankind interacts with them. It discusses the evolution of the sea and continents and looks at the ecology of coastal systems, including intertidal zones, beaches, dunes, estuaries, islands, kelp forests and reefs. The book unpacks the relationship between humans and the marine environment, and the consequences of harvesting and mining to meet our needs. It also addresses the impact of climate change, and highlights what can be done to protect our environment. Richly supported by full-colour photography and numerous explanatory illustrations, diagrams and graphs, this book will prove invaluable to students and teachers but will also appeal to anyone with a fascination for nature and our marine world in particular. George and Margot’s books – great as gifts – will be on sale after their talk.